The larger-than-life Marvel Super Hero the Hulk explodes onto the big screen! After a freak lab accident unleashes a genetically enhanced, impossibly strong creature, a terrified world must marshal its forces to stop a being with abilities beyond imagination. $62.128 million on 3660 screens. Back in 2003, Hulk hit screens with tons of hype and launched out of the starting blocks with a terrific $62 million opening, but bad word of mouth slammed it almost immediately. In the end, Hulk earned a very disappointing $132 million, a figure that damaged the promised franchise. At the time, I thought Hulk deserved that fate. I love comic book flicks and looked forward to it, but I found it to be a massive bore and a major disappointment. Years later, however, I thought it might be time to give Hulk another chance. Hulk opens with a prologue set in 1966. Scientist David Banner (Paul Kersey) experiments with gamma radiation. Despite orders from his superior (Todd Tesen), he conducts tests on himself. These prove to have side effects when his wife Edith (Cara Buono) gets pregnant and has a child named Bruce. A repressed kid, he shows some minor but odd changes during those rare occasions when he becomes upset. At age four, Bruce leaves the Banner household due to a mysterious incident. Told his parents died, Bruce grows up with the Krenzler family and views Mrs. Krenzler (Celia Weston) as his mother. In a remarkable coincidence, he becomes a scientist like his biological dad, and as an adult, he even enters the same field of study with radiation. That’s how we meet Bruce in his thirties (Eric Bana). Co-worker/ex-girlfriend Betty Ross (Jennifer Connelly) dumps him due to his lack of emotional expression, but the pair still function as colleagues. She shows continued concern about him when he goes through a scary experience during which he absorbs radical amounts of gamma radiation. This should have killed Bruce, but instead it appears to have made him stronger. At this point he learns his family secret and also discovers some changes. When angered, he turns into a massive, destructive brute. This attracts attention from scientific capitalist Talbot (Josh Lucas) and the military as represented by Betty’s dad (Sam Elliott) – the same Ross who once butted heads with David Banner. Oh, and a mysterious new janitor (Nick Nolte) has some information for Bruce. The movie follows these threads along with Bruce’s attempts to cope with his new persona. Whenever I see reviews that admire Hulk, they always point out the movie’s psychological depth. To that I say: where? Hulk goes for cheap dime-store psychology with its notions of rage and family relationships. There’s nothing especially deep on display, and the film fails to explore the issues in any satisfactory form. God forbid that anyone declares the psychological emperor has no clothes, for the film’s defenders invariably claim these doubters “don’t get it” and they just wanted a loud, stupid, smash-‘em-up flick. In some cases, that may be true, but it’s also possible that some folks simply wanted to have it both ways. Nothing says a movie can’t have intellectual depth and also provide a thrill ride. Unfortunately, Hulk flops on both accounts. With its dull characters, flat performances and thin sense of psychological exploration, it sure doesn’t give us an interesting piece of drama. It also falls short of any possible goals in regard to the action, as its fight scenes lack punch. Ang Lee seemed – and still seems – like an odd choice for this kind of movie. However, I didn’t think negatively of the decision because I feel diversity in filmmaking is good. There are plenty of actors and directors who initially appear inappropriate for a project but they ultimately prove beneficial to the project. That doesn’t happen with Lee. He gives Hulk the superficial look of a comic book but he fails to deliver the spirit and tone of one. I like the movie’s visual design and editing, as Lee uses multiple panels onscreen to show many sides of the events at once. This is clever and ingenious. It doesn’t make the movie more exciting, though. I don’t think Lee connects to the material well, and he doesn’t appear to know what to do with it. Rather than deliver a movie that bears a resemblance to the source, he prefers to deal with a somber character study. This doesn’t work due to the problems I already mentioned, and it also robs the flick of its potential as a fun action piece. The failure of the Hulk character requires notice as well. Rather than go with an actor in makeup ala Lou Ferrigno, the film uses a totally computer generated Hulk. To say that this doesn’t work would be an understatement. At no point does the animated Hulk resemble a living creature. He looks plastic and artificial, and he actively takes us out of the story. Not that it would require much to force us to detach from this plodding narrative. To tell the truth, I wanted to like Hulk. I wanted to enjoy it when I saw it theatrically, and I wanted to like it when I gave it a second chance at home. I just couldn’t muster any enthusiasm for it. The film lacks much to make it entertaining or absorbing, and it fails to capitalize on its many opportunities. Hulk appears in an aspect ratio of approximately 1.85:1 on this Blu-ray Disc. Though mostly solid, the image had some ups and downs. For the most part, sharpness looked fine. Occasional shots seemed a little soft, but those occurred infrequently. The majority of the movie was reasonably distinctive and accurate. No issues with shimmering or jaggies occurred, but I saw some light edge haloes. Digital noise reduction appeared to affect interiors, and those ended up with actors who had clay-like complexions. Only a couple of small specks popped up; this was usually a clean presentation. Given the story’s focus, it came as no surprise that the film featured a light greenish tint much of the time. Colors were consistently solid within those choices. Blacks were firm and dark, and shadows seemed decent; they occasionally looked a little dense but they usually filled out the image fine. This was a generally positive image but not one that came without concerns. Due to the nature of the title character, I expected a lot of bass from the DTS-HD MA 5.1 soundtrack of Hulk, and that’s what I got. Low-end dominated the show, especially when the Hulk was on-screen. He roared, he stomped, he crushed, and he smashed. Along with that, the track cranked into high gear and pumped out a lot of loud but tight bass. The soundfield followed this trend with a good sense of setting. The action scenes brought matters into high gear with elements that popped up all around the spectrum. They moved cleanly and mixed together well. The track offered a visceral experience that suited the film. Audio quality was solid. I already reflected on bass response, and effects were always clean and accurate. Music was bright and lively, while speech sounded natural and concise. This was a strong mix. How does this Blu-ray compare with the original DVD from 2003? The lossless audio boasted more kick, while the visuals were tighter, cleaner and more dynamic. While the Blu-ray came with some visual issues, it nonetheless offered an obvious improvement over the lackluster DVD. Most of the DVD’s extras repeat, and we begin with an audio commentary from director Ang Lee. He offers a running, screen-specific discussion. Though Lee occasionally throws out decent notes, he lacks enough information to cover 138 minutes of movie. Lee chats about the film’s visual and editing styles, the cast, effects, sets and locations, and themes. However, mostly he talks about nothing. Dead air abounds here, as do remarks about what he likes in the flick. Very few actual insights appear, and this turns into a dull commentary. A staple of Universal Blu-rays, U-Control gives us a picture-in-picture feature. It mixes footage from the set with interview segments. We hear from Lee, producers Larry Franco and Gale Ann Hurd, writer/producer James Schamus, animation director Colin Brady, visual effects producer Janet Lewin, motion capture supervisor Seth Rosenthal, sequence animation supervisor Glen McIntosh, and actors Jennifer Connelly, Eric Bana, Josh Lucas, Nick Nolte and Sam Elliott. 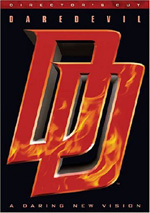 The segments cover cast and performances, story/characters, Lee’s approach to the film, effects and stunts, and related areas. The info here doesn’t tell us a ton, but the shots from the set prove to be useful. Though the clips show up somewhat infrequently, they add some decent material. Six Deleted Scenes run a total of five minutes, 51 seconds. One extends the presentation about nanomeds, while another expands on the Bruce/Betty relationship a little. Neither seems too compelling. Three others are just quick bits of not much – like another with Lou Ferrigno – but one with a teen Bruce is actually interesting. 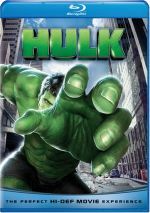 Evolution of the Hulk runs 16 minutes, 17 seconds as it provides notes from Arad, Stan Lee, Hurd, Schamus, Ang Lee, and science advisor John Underkoffler. “Evolution” tells us a little about the history of Marvel Comics as well as the origins and development of the Hulk up through 2003 and the movie. At its start, the show takes a decent look at the comics, but when it veers off toward TV and films, it loses its way. It ends up more like a promotional piece than any informative. We look at the director via The Incredible Ang Lee. The 14-minute and 28-second show features Ang Lee, Schamus, Connelly, Bana, Hurd, Nolte, Lucas, composer Danny Elfman, animation director Colin Brady, motion capture supervisor Seth Rosenthal, visual effects supervisor Dennis Muren, visual effects producer Tom Peitzman, sound designer Gary Rydstrom and sound designer Eugene Gearty. “Incredible” views Lee’s take on the material and his work during the production. A lot of the comments tend toward praise for Lee, but some decent details about Lee’s methods emerge. We see more of him in that mo-cap suit, and we find out how he interacted with various parties. For the 10-minute, nine-second The Dog Fight Scene, we hear from Muren, Ang Lee, Rosenthal, Connelly, Brady, visual effects producer Janet Lewin, producer Larry Franco, lead and ground supervisor Anthony Shafer and sequence animation supervisor Glen McIntosh. They cover all the elements that went into the battle between the Hulk and the mutated pooches. We learn a lot about the various effects as well as acting challenges in this tight, interesting piece. Next comes The Unique Style of Editing Hulk. In this five-minute, 34-second piece, we get remarks from Ang Lee, editor Tim Squyres, and ILM compositor Mark Casey. They go over the influence of the comic book format on the flick’s use of panels and split-screens. The show doesn’t dig into its topic in-depth, but it provides a satisfactory glimpse of the editing methods. Finally, The Making of Hulk goes for 23 minutes, 43 seconds. It provides statements from Ang Lee, Hurd, Connelly, Franco, Bana, Schamus, Croughwell, Lucas, Muren, Lewin, Brady, Elfman, special effects supervisor Michael Lantieri, lead creature developer Aaron Ferguson, CG supervisors Christopher Townsend, Michael Di Como and Gerald Gutschmidt, guitarist Slash, vocalist Scott Weiland, and visual effects art director Wilson Tang. A glimpse of its chapter listings tells you what subjects it covers: cast and crew, stunts and physical effects, ILM’s visual effects, and music. “Cast and Crew” offers little more than “everyone’s so great!” fluff, but the others prove more satisfying. Skip the first chapter and you’ll find a lot of enjoyable information here. Too bad I can’t make the same claim about Hulk itself. Each time I watch this movie, I hope I’ll finally like it, but that day has yet to arrive. It rarely engages and too often bores. The Blu-ray comes with erratic but mostly good picture, terrific audio and a decent set of bonus materials. This becomes a generally positive release for a disappointing film.